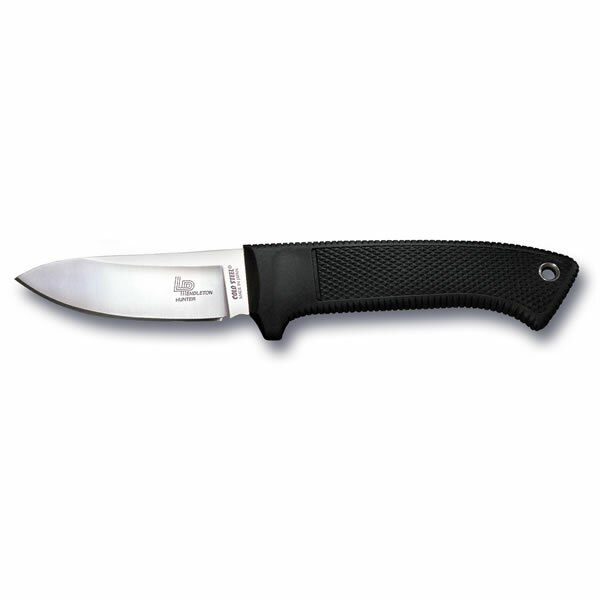 Cold Steel’s president, Lynn Thompson bought the first knife that custom maker, Lloyd Pendleton ever made in 1973. Now the two friends have collaborated to produce two of Lloyd’s most popular knives, we call them the Lloyd Pendleton Hunter and Mini Hunter. In fabricating these knives, we have tried to duplicate Lloyd’s work as accurately as possible. Both the Pendleton Hunter’s hollow ground blade and the Mini Hunter’s flat ground blade are honed to perfection. The handle’s cross sections and contours match Lloyd’s handmade knives exactly. 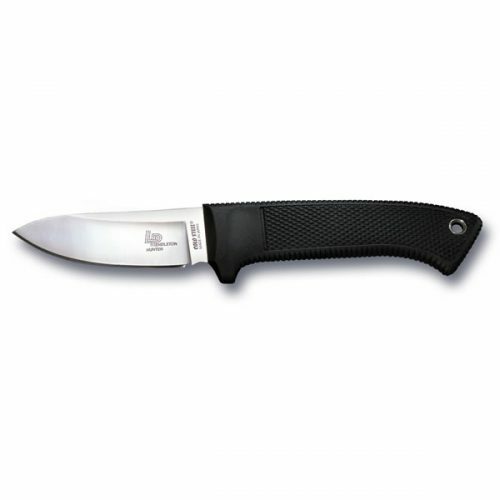 For safety and durability, we have dispensed with leather in favor of Secure-Ex for the sheaths. This material won’t rot or mildew and is far more resistant to cuts or punctures than leather.